Posted in News, Outreach News, People News, Research News on August 16, 2017 by emily.summars@noaa.gov. NOAA National Severe Storms Laboratory research scientist Sean Waugh uses an instrumented truck to measure the atmosphere while he prepares a weather balloon for launch earlier this year in Kansas. He will do the same thing on Aug. 21 in Nebraska during the total solar eclipse. Waugh will drive to a location in southern Nebraska and park in the path of totality. 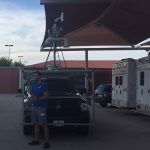 From the start of the eclipse through its completion, weather instruments mounted to the roof of the NSSL truck will automatically measure surface temperature, relative humidity, wind speed and direction, pressure and solar radiation every second. 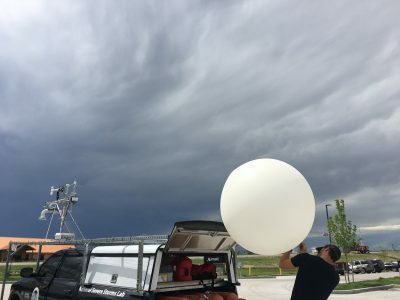 Next to the truck about every 30 minutes, Waugh will launch weather balloons with instruments attached to take the same atmospheric measurements in a vertical profile through the lower part of the atmosphere. These weather balloons are used by the National Weather Service daily, and can reach altitudes up to about 80,000 feet. 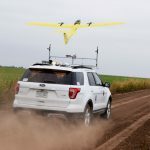 At the same time, Adam Houston, associate professor at the University of Nebraska-Lincoln, and collaborators from Oklahoma State University in Stillwater, Oklahoma, will fly two Unmanned Aerial Systems. 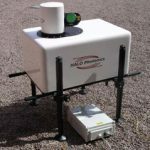 The UNL Matrice, operated by University of Nebraska-Lincoln, will measure temperature, moisture and pressure. 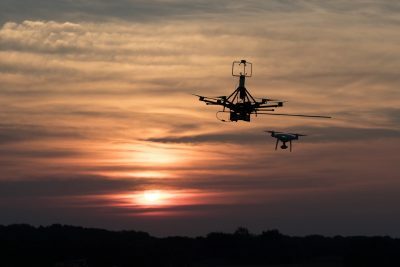 The DJI Matric 600 operated by Oklahoma State University will measure wind speed and direction, along with temperature, moisture and pressure. 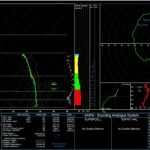 In addition to documenting the surface temperature and wind changes caused by the eclipse, the data will be used later to validate predictions from and refine an experimental version of the High Resolution Rapid Refresh short-term weather model run by the NOAA Earth Systems Research Laboratory’s Global Systems Division in Boulder, Colorado.